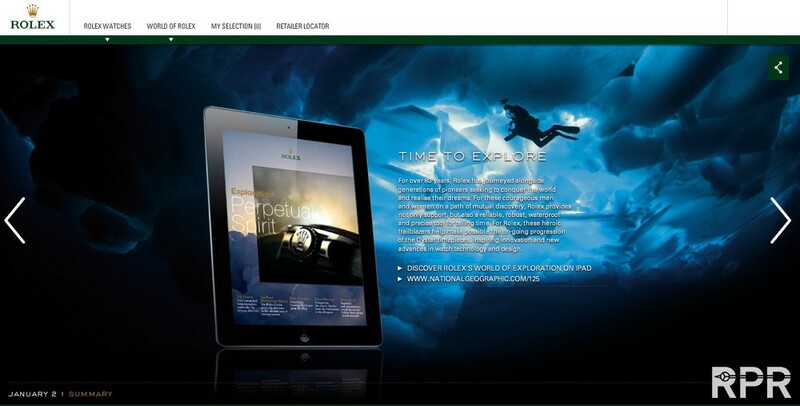 Rolex and National Geographic 125th Partnership in Passion for Exploration. It’s become Time to Explorer! 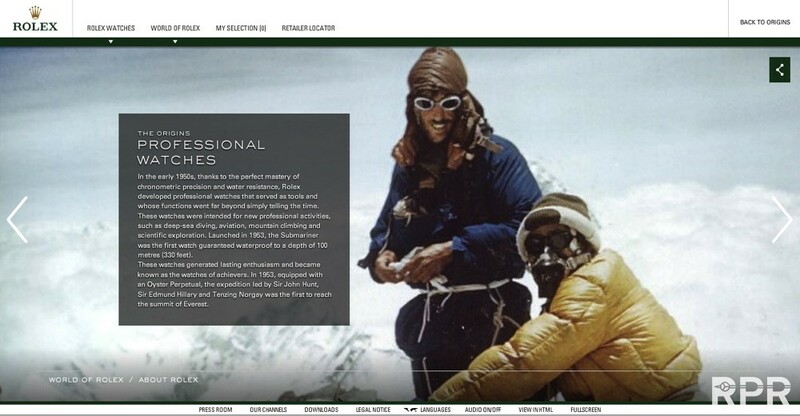 “The higher we climb, the more we overcome”..
“Watches of Achievers, served as tools and whose functions went far beyond simply telling the time”..
“With its shared ‘passion‘ for exploration, Rolex is delighted to partner with National Geographic on its 125th anniversary initiative. 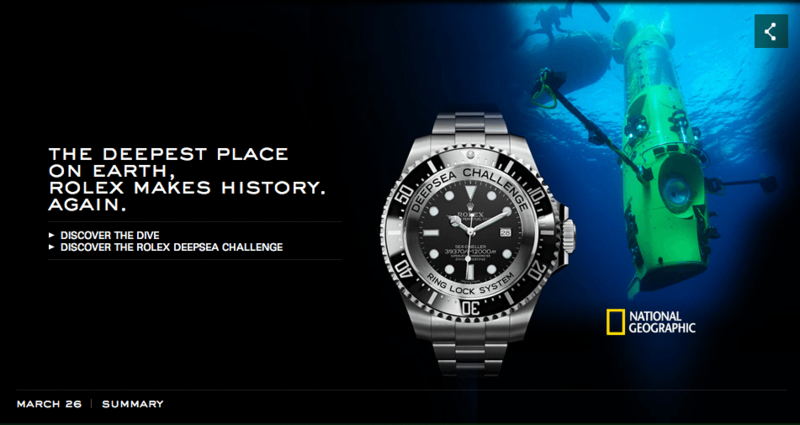 For decades, Rolex has supported ‘pioneers of exploration, from the tallest mountain to the deepest ocean trench‘, and we look forward to being there, wherever man dares to venture next,” said Arnaud Boetsch, communications & image manager of Rolex SA. You find the official Press Release over here & the link to website their special NG Special Celebrating 125th Anniversary you find here! 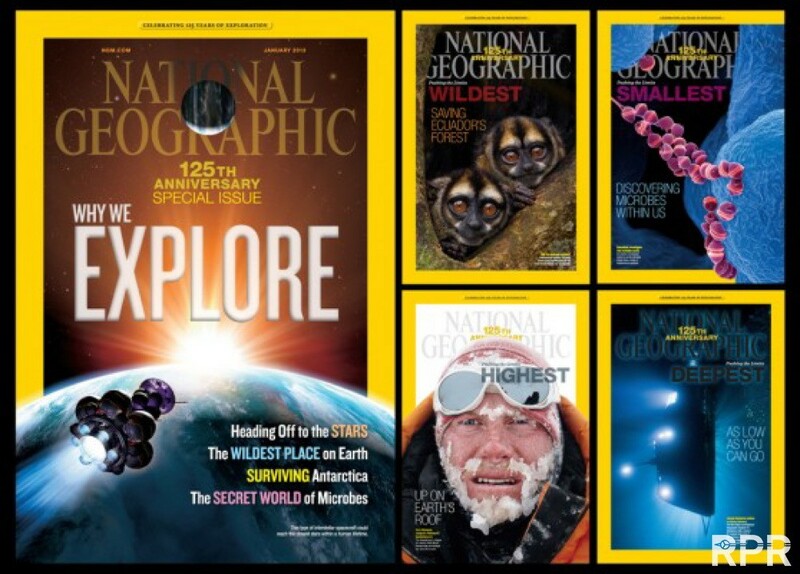 In a publishing first for National Geographic magazine, each copy of the January 2013 issue will feature five covers highlighting the Society’s 125thanniversary theme, “A New Age of Exploration.” The multiple covers will be included in the worldwide English-language edition and in 12 local-language editions and are exclusively supported by Rolex. These editions are read by more than 50 million people around the globe. The January covers highlight the superlatives of exploration — farthest, wildest, smallest, highest and deepest. The top cover spotlights the farthest reaches of space travel as it looks at “Why We Explore.” The four additional covers profile other ways exploration is being pushed to the limits: The Wildest focuses on saving Ecuador’s pristine rain forest; the Smallest looks at the invisible world of microbes; the Highest features mountaineer Cory Richards; and the Deepest highlights filmmaker James Cameron’s solo dive to the Mariana Trench. 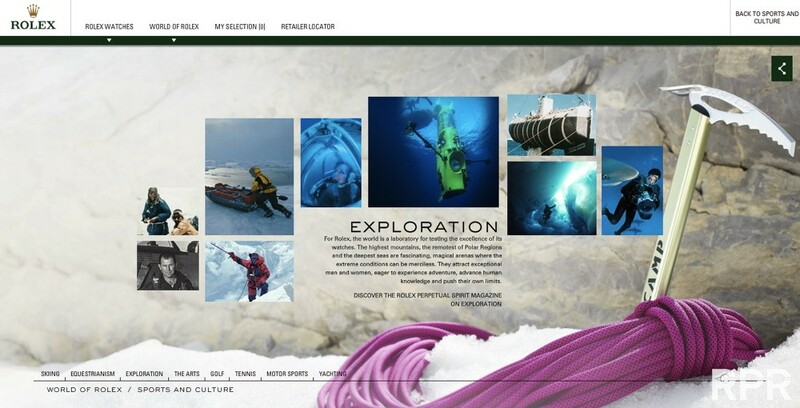 The “New Age of Exploration” theme will be marked Society-wide throughout 2013, including the National Geographic Channels, website, books, magazines, video and live events. The yearlong initiative has been made possible through a 125th anniversary partnership with Rolex. 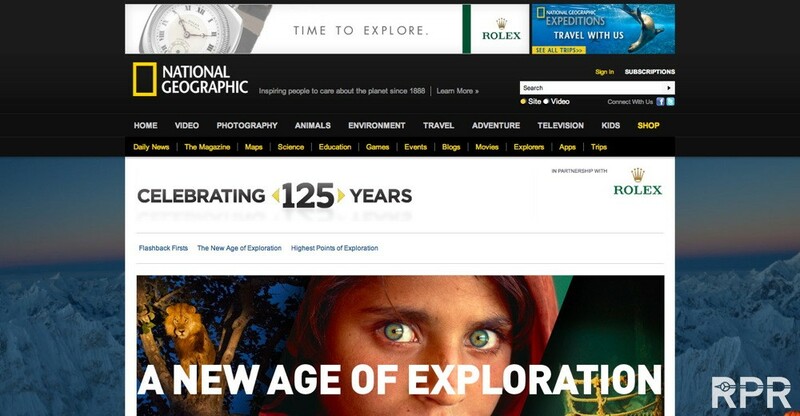 National Geographic Channels will premiere a 125th anniversary special, “A New Age of Exploration: National Geographic at 125,” on Friday, Jan. 11, in the United States and globally throughout the month. 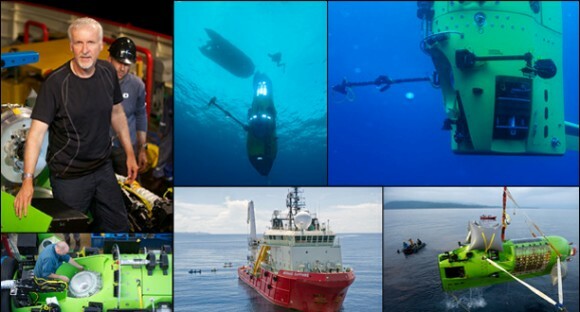 The program profiles the new superheroes of exploration — amazing people who are forging new ground as they square off against the latest frontiers. National Geographic Channels will dedicate more than 125 hours of programming to the theme of exploration throughout the year in its “Explorer Top 125” programming event. 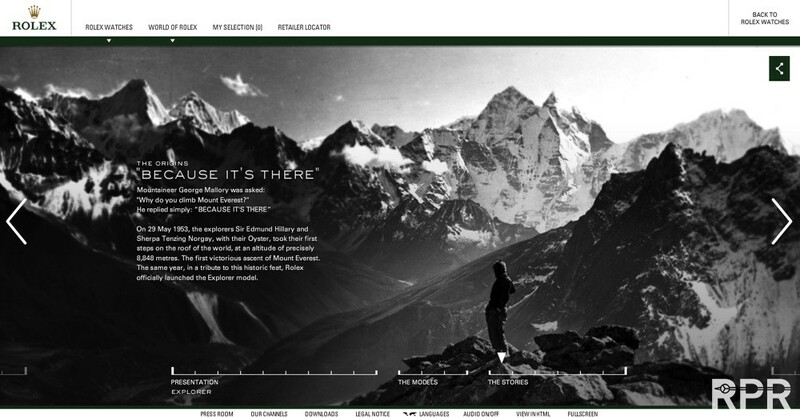 A dynamic online hub at www.nationalgeographic.com/125 will include special features such as an interactive exploration timeline, videos, interviews and photo galleries updated regularly during the Society’s 12-month focus on the future of exploration. On June 13, 2013, the 125th anniversary will be celebrated at a “National Geographic Evening of Exploration” gala, where the Society’s top medals and honors will be awarded to explorers and other recipients. All proceeds from the gala will go to National Geographic’s Fund for Exploration. 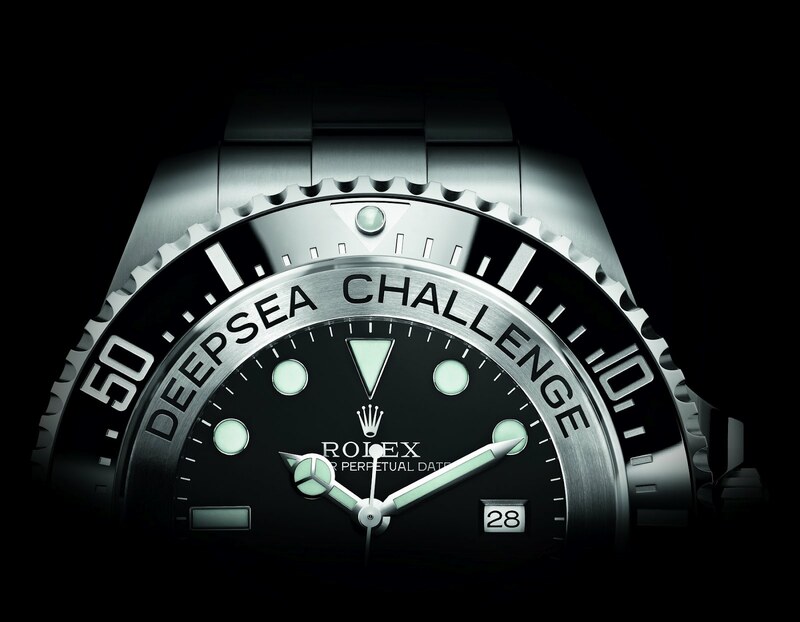 “With its shared passion for exploration, Rolex is delighted to partner with National Geographic on its 125th anniversary initiative. 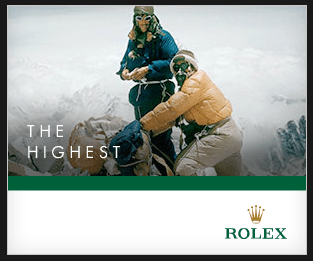 For decades, Rolex has supported pioneers of exploration, from the tallest mountain to the deepest ocean trench, and we look forward to being there, wherever man dares to venture next,” said Arnaud Boetsch, communications & image manager of Rolex SA. Leading brand of the Swiss watch industry, Rolex, headquartered in Geneva, enjoys an unrivalled reputation for quality and expertise the world over. Its OYSTER watches, all certified as chronometers for their precision, are symbols of excellence, performance and prestige. Pioneer in the development of the wristwatch as early as 1905, the brand is at the origin of numerous major watchmaking innovations, such as the OYSTER, the first waterproof wristwatch, launched in 1926, and the PERPETUAL rotor self-winding mechanism introduced in 1931. 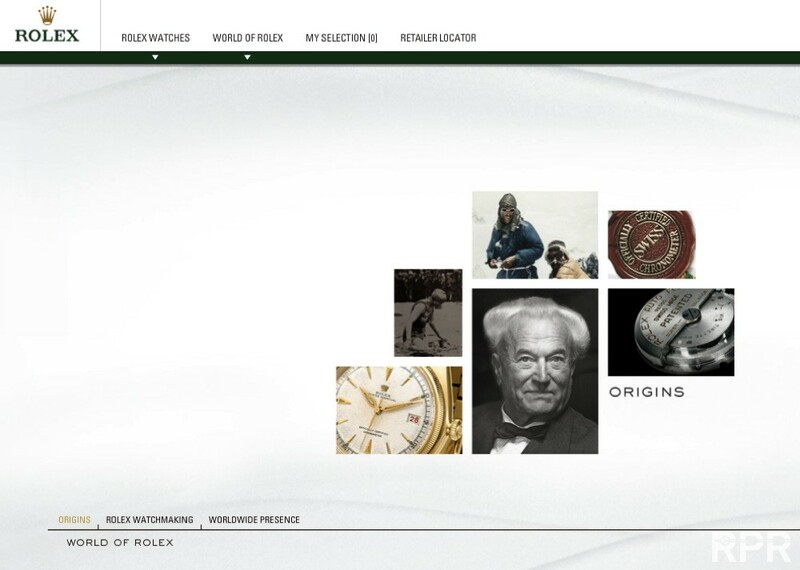 Rolex has registered over 400 patents in the course of its history. A truly integrated manufacturing company, Rolex designs, develops and produces in-house all the essential components of its watches, from the casting of the gold alloys to the machining, crafting, assembly and finishing of the movement, case, dial and bracelet. Rolex is also actively involved in supporting the arts, sports, the spirit of enterprise, and the environment through a broad palette of sponsoring activities as well as philanthropic programmes. Rolex Origins; Mercedes Gleitze, Oyster Datejust, Hillary & Tenzing, Hans Wilfsdorf, Certified Chronometer Manufacture Rolex.